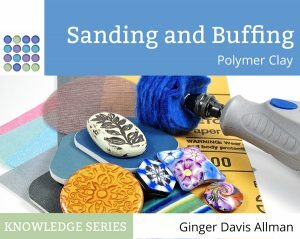 So, you’ve done your research on finding a new craft, you know what polymer clay is, and now you want to get started with polymer clay. Is it hard? (No, it’s easy to get started.) Is it expensive? (Nope, not at all.) Here’s what you need to know. To get started, you’ll need some clay, and you’ll need a few simple tools Read about the various brands of polymer clay here and choose a brand. You can mix brands, so you can always switch later. And go here to read about Making a Polymer Clay Starter Kit, only buying what you need now and saving some tools for later. Then start playing. Open a package. Make a snake. Roll some balls. Just start playing to see how the material feels and what you can do with it. Mix some colors, see what happens. Because polymer clay stays soft until you bake it, you can’t ruin it. (Do keep it away from dust and pet hair. We all joke that it’s a fur magnet!) You can wad it up and start over until you make something that you want to keep forever. Once you’re happy with your creation, go ahead and bake that. Not sure how to bake your polymer clay? There are some basics that you need to know, such as making sure your oven is accurate and that you should always cover your work when baking. Read here about how to bake polymer clay. After baking, some people feel the need to glaze their project. Polymer clay is not ceramic, and it does not need a glaze, sealer, or varnish. Sometimes you might want to do it, though, and here’s more info on that. Read Do You Have to Seal Polymer Clay? 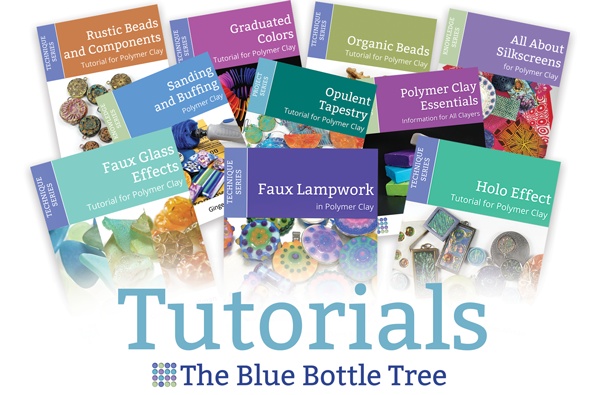 In addition to those, this website has hundreds of articles about working with polymer clay, so dive in and start reading. You can see the beginner articles here. And the best way to find a specific topic is to use the search box at the top of every page. There are lots of free tutorials out there to get you started creating. Just google them or head over to YouTube if you prefer videos. I have many tutorials, eBooks, and Guides for sale in my shop. My tutorials are unique in the industry because they’re so comprehensive and detailed. Check them out here. One of the best parts of working with polymer clay is that there’s an active worldwide polymer clay community. From the IPCA to many Facebook groups, you’re sure to find the support and kinship that will make working with this medium a pure joy. Polymer clay friends from four different states hamming for the camera at an IPCA conference. First of all, make sure that we’re hooked up. I share more often by email nowadays, so make sure you’re getting my emails. Learn about doing that here. While it’s not a beginner group, my Polymer Clay Success group is a growth-oriented group for taking your polymer clay and artistic skills to the next level (whatever that means for you). It’s a place to talk about the questions and feelings and lessons that come up as we grow in this medium. And finally, my Facebook page itself is where I share the work of other artists, inspiring stories, and community and product news. Join me! 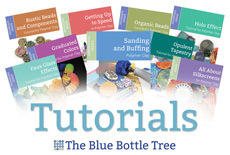 Learn, read, grow, and get started with polymer clay as your next artistic hobby. Good post, as all of yours are. I’m frequently referring beginners to your blog. Accurate information, and answers to many questions. Thank you!